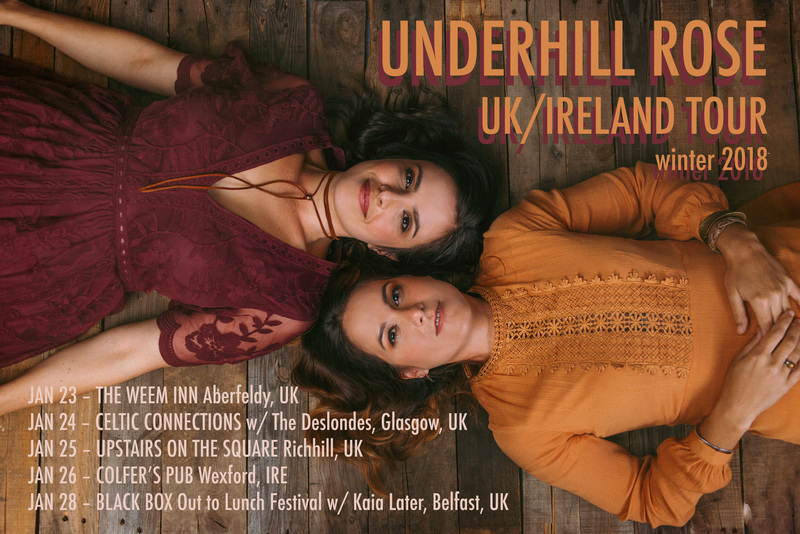 We are excited to be returning to the UK and Ireland later this month for five appearances throughout the region. First, a return to trip to our beloved Weem Inn in Aberfeldy Scotland. (A nip of local Scotch is basically required.) Next stop Glasgow, where we open the show for New Orleans-based The Deslondes at Celtic Connections on the 24th. After a quick flight to Northern Ireland, we head to a new spot for us: Upstairs on the Square in Richhill. Then we’ll head down the beautiful coast to another one of our favorite spots, Colfer’s Bar in Carrig-on-Bannow. Nearby are the ruins of the oldest Norman church in Ireland. Our last show of the tour finds us in Belfast opening for Canandian-based Kaia Later at Black Box as part of the Out to Lunch Festival. Eleanor can’t wait to talk banjo shop with her! Oh, and the best part is, we are bringing our moms along for this journey. Don’t worry, we will take lots of pictures! For more details, just go to our tour link.